Join me today on Inspired by Pinterest on My Craft Channel as I share some wonderful pins of winter wreaths and then share a fun idea to create a snowy white wreath with items purchased from the dollar store. 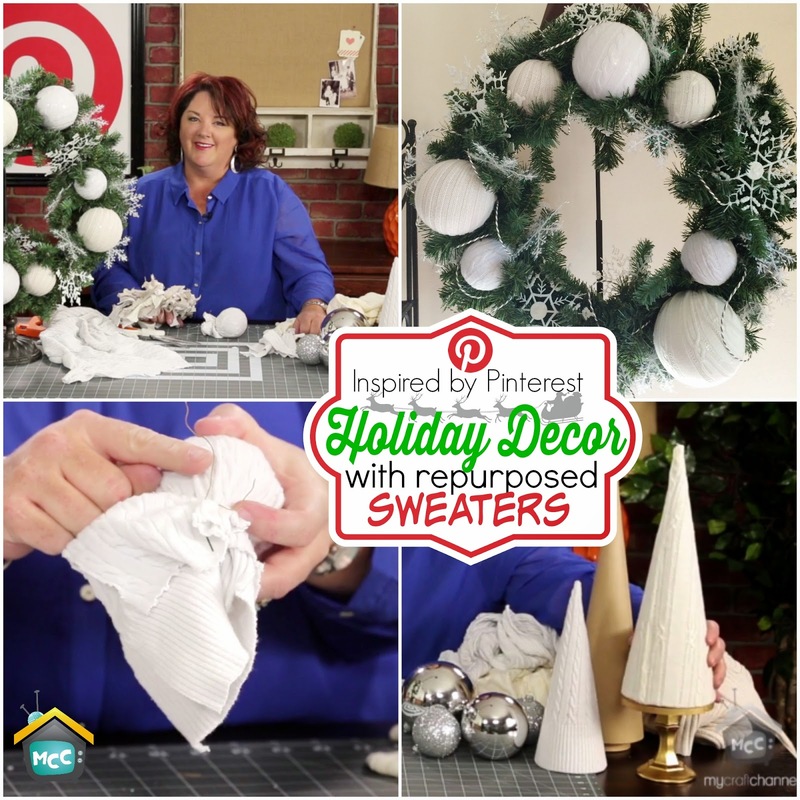 Join me today on Inspired by Pinterest on My Craft Channel as I recreate popular pins using repurposed sweaters. You will enjoy this inexpensive way to create a unique home decor item like trees or wreaths and more for the winter and/or holidays.